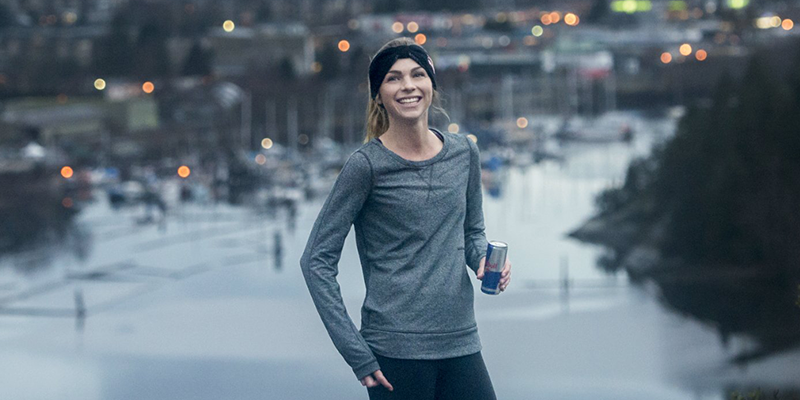 Raised in Victoria, British Columbia, Kirsten Sweetland started competing in triathlons at the age of seven, encouraged by her father, a competitive triathlete in the 1980s. By 15, Kirsten was training full-time with Canada’s National Triathlon Centre, and in 2006, aged 17, she became the first Canadian woman to medal at the Junior World Championships. Injuries and illnesses have plagued her professional career – she missed the 2008 and 2012 Olympics due to stress fractures in her feet – but her 2014 season got off to a tremendous start with six top-10 finishes in the ITU Triathlon World Cup series and a silver medal at the 2014 Commonwealth Games. A bacterial infection picked up during an open water swim then nearly debilitated her once more. She’s been on a steady rise to recovery since and is determined to reclaim her spot at the top of the podium. Click here and get your tickets for the 2017 show! This was the first time that I had even heard of FEAT and had never attended an event before. All the speakers were so inspiring, even challenging me to think about what dream I've been holding back on fulfilling. Now I need to get going and do it!